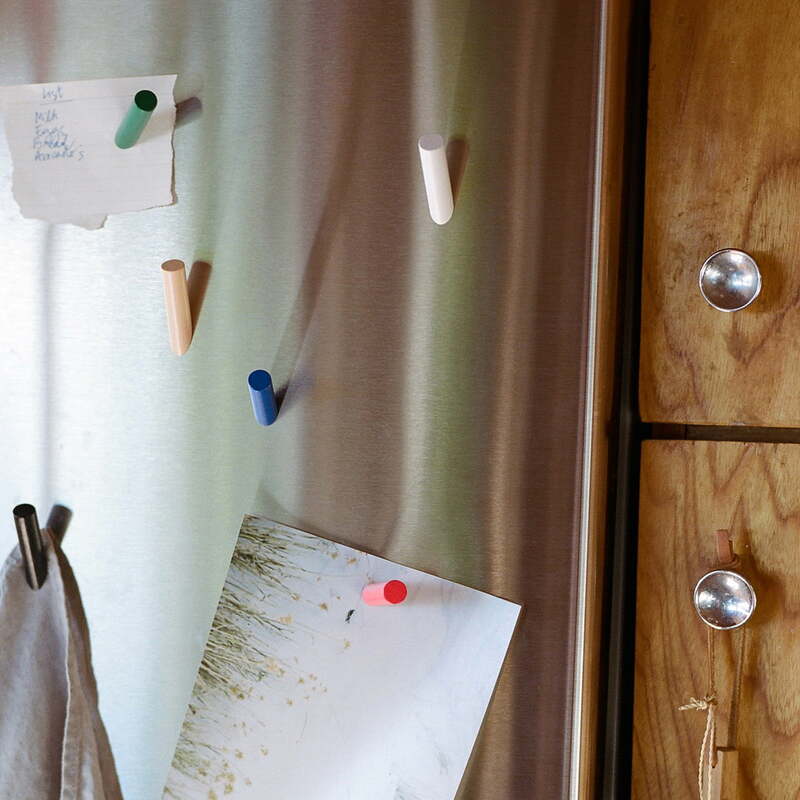 The Stick-Up sticks in a colourful set of 6 by Areaware bring lots of colours on fridges or magnetic boards. The small rods remind us of colorful chalk marker pens and are cut at different angles. This is how they are directed into different directions when they are attached to a magnetic surface. The design of these small everyday helpers comes from the New York Design Studio Bower. The two founders Danny Giannella and Tammer Hijazi represent products that combine high utility with a playful touch - this combination is also clearly visible in the Stick-Up sticks magnets. The Stick-Up sticks made of high-grade beech wood reliably attaches pieces of paper and notes at magnetic boards due to their magnetic core. 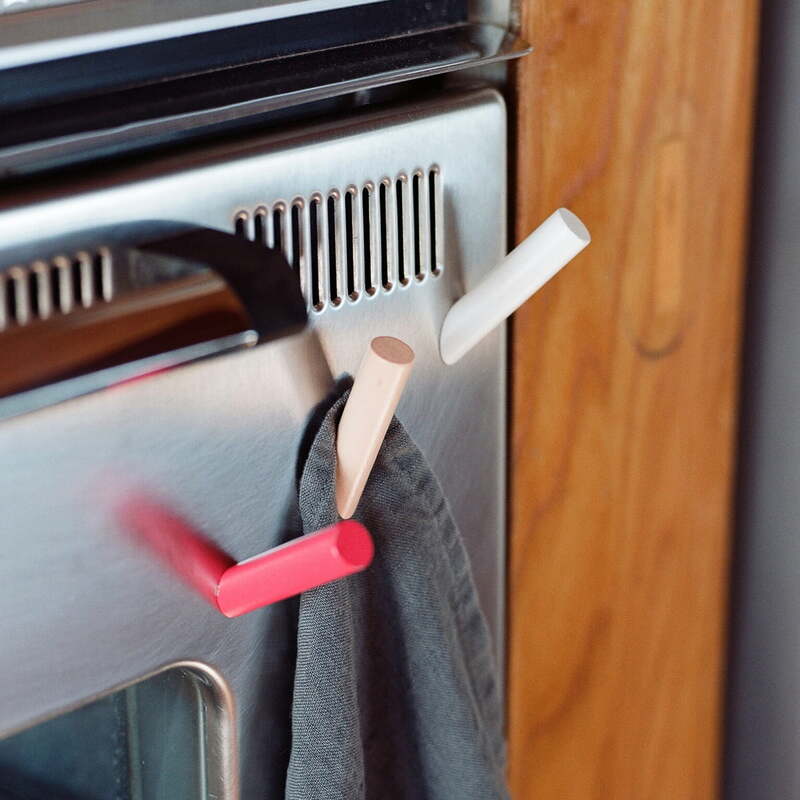 Individual image of the Stick-Up Sticks magnets, beech, set of 6 by Areaware. 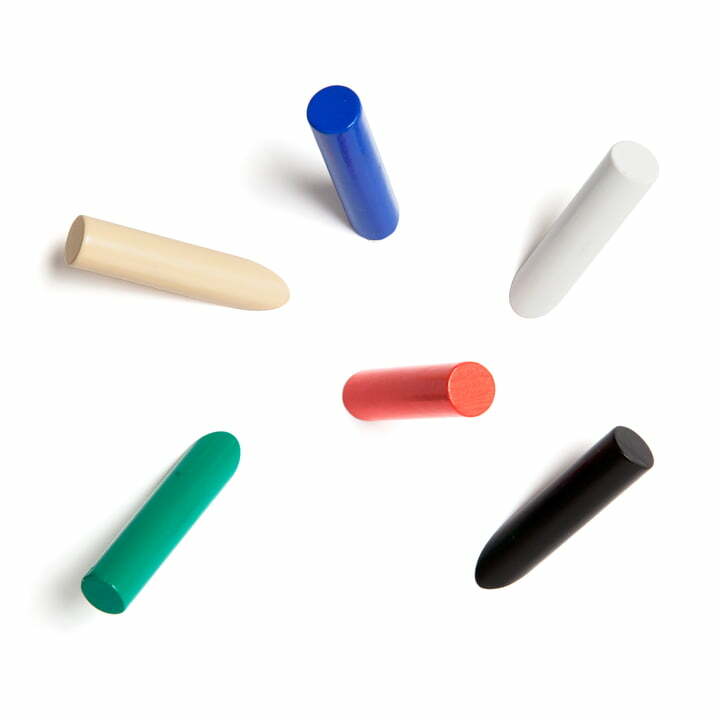 The magnets from New York design studio Bower are reminiscent of colourful chalk and combine utility with playfulness. Individual image of the Stick-Up Sticks, beech, by areaware. 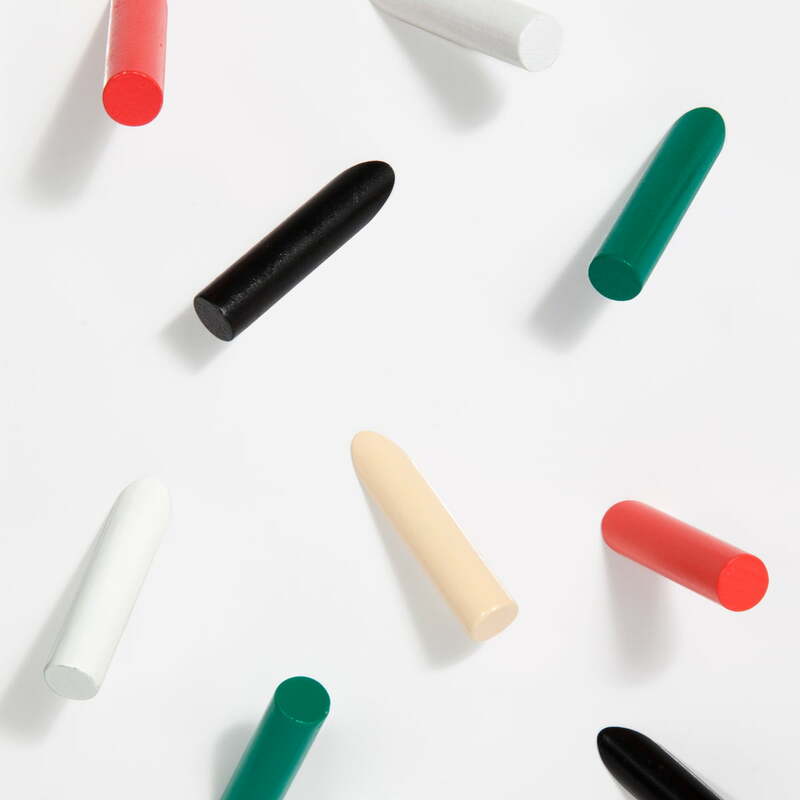 The magnets from New York design studio Bower are reminiscent of colourful chalk and combine utility with playfulness.